Rough and rugged, these Borge Greaves to come you after having served well as the armor of a fierce and feral ranger of the wild, who preferred something straightforward when it came to keeping himself safe from the rigors of hunting and combat. 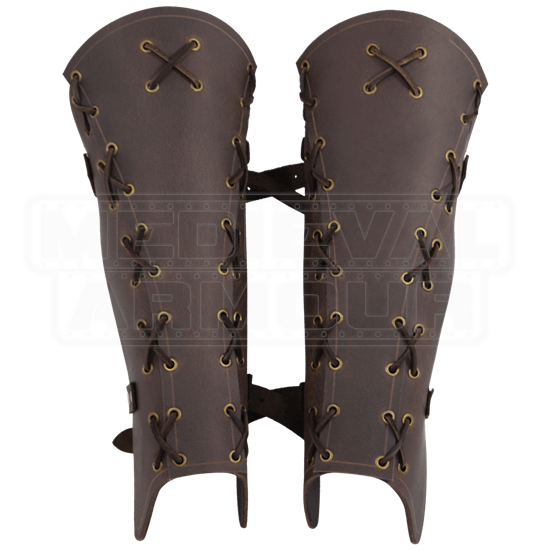 The stellar style of these bracers are such that they are perfect for adventurers, rogues, and rangers of all kinds, as their subdued design has just enough character to get noticed, yet enough functional appeal to look as though they were crafted by a warrior who made exactly what he needs, and nothing more. The greaves are made entirely from a single piece of 9-10 oz. rigid buffalo leather, and are accented with faded line patterns as well as grommets with crisscross laced accents, making them look as though they are held together by lacing when they are solid and sturdy single pieces. These greaves are offered in a single size, although they do feature adjustable buckle strap closures around the back, making them quite versatile in terms of their sizing. 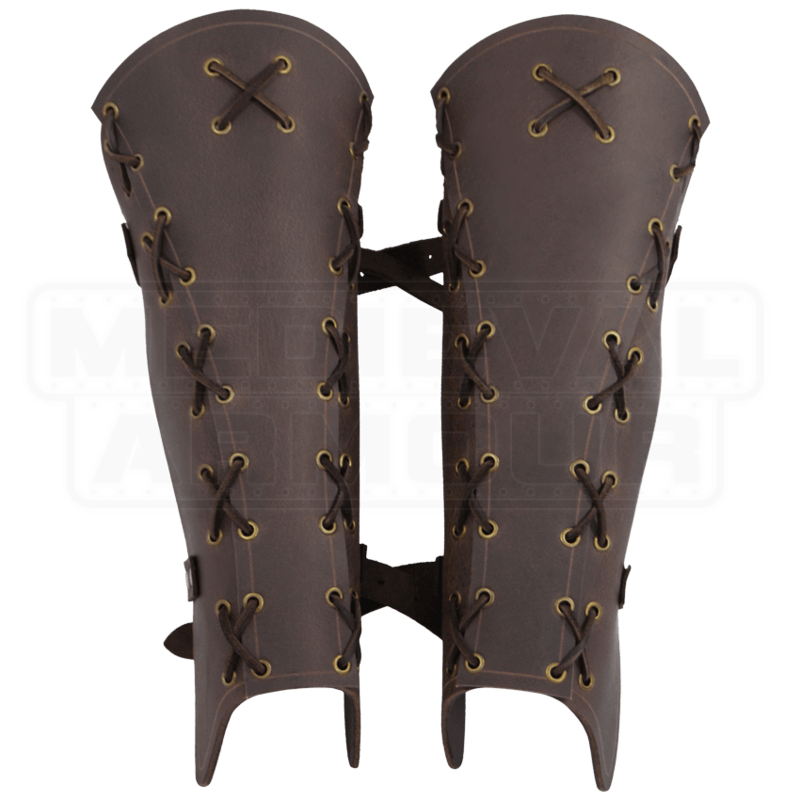 The Borge Greaves are a defensive accessory for the LARP warrior to wear to add some defense and protection to their look, as well as a fine piece to add to your wild warrior look that you might want to wear at your next Renaissance fair or gathering.